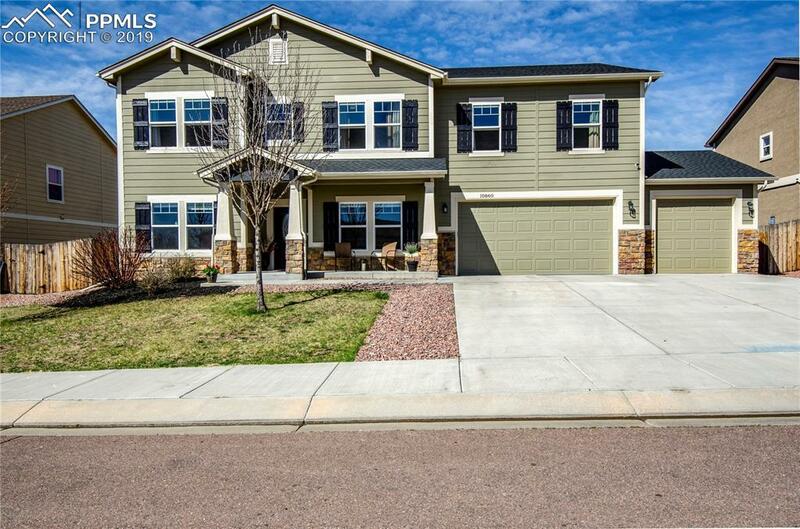 You will fall in love with this breathtaking 2 story, former Challenger model home! 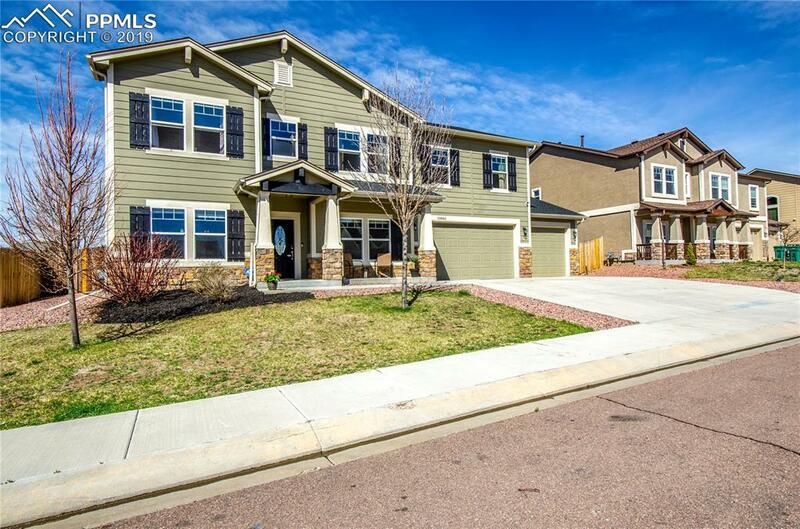 Amazing curb appeal, new exterior paint, new roof, new gutters to come, large lot, sunny open floor plan through out! As you enter you are greeted by a formal living room as well as a private office/bedroom with a full walk-in closet and french doors. Also on the main floor is open concept dining area, large family room with with a stone surround fireplace, and Gourmet kitchen. The kitchen hosts GE stainless steel appliances, breakfast bar, center island, double oven, and an over sized walk-in pantry. 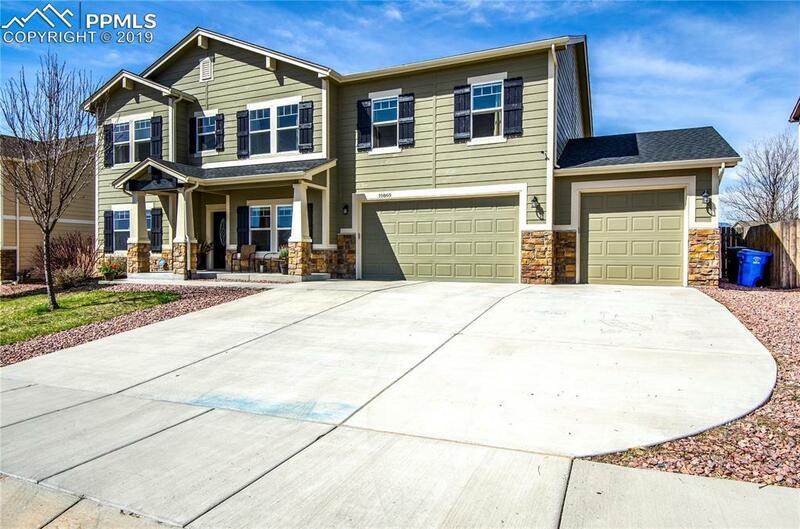 The upper level hosts a large loft perfect for a second family room or kids play area, laundry room, full bath, master bath, and 4 bedrooms complete this level. The master suite will WOW you, large sitting area, beautiful views, inviting 5 piece bath, and walk-in closet. The generously sized backyard is perfect for the upcoming summer activities, kids play sets, garden, and so much more! The finished 3 car garage provides ample area for cars and storage, including shelves and hanging storage racks. This beautiful home is also equipped with humidifier, water softener, and Bali waffle blinds (on main level windows). 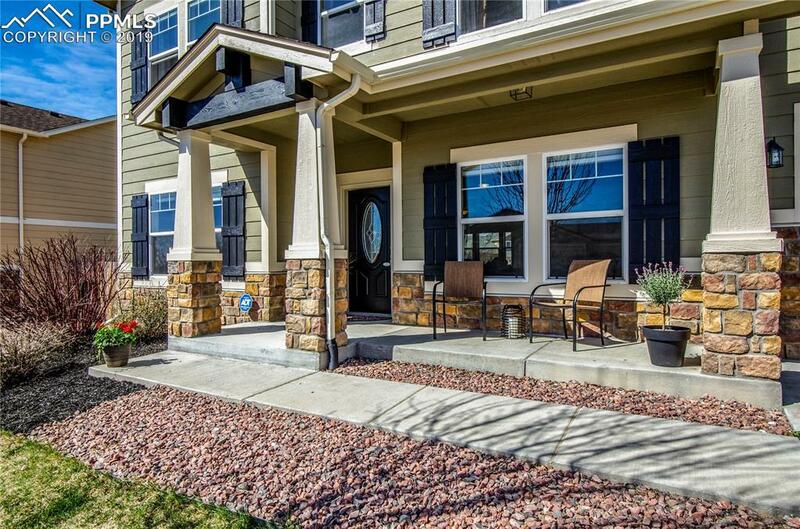 Minutes away from schools, parks, shopping, I-25, and Fort Carson.